The president of CNN says it is "shocking" to watch the political establishment's silence regarding President Trump's attacks on the media. 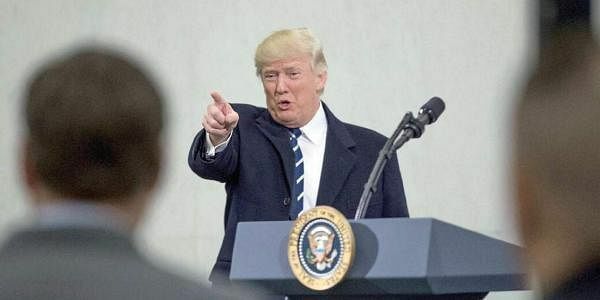 JERUSALEM: The president of CNN says it is "shocking" to watch the political establishment's silence regarding President Donald Trump's attacks on the media, calling it an abdication of their responsibility. Jeff Zucker, president of CNN Worldwide, told the INTV media conference in Jerusalem Tuesday that Trump's labeling of the media as the enemy of the state was dangerous and that "words can have consequences." He also said he was stunned politicians had not spoken out fiercely against the assault on the free press. He singled out Republican senators John McCain and Lindsey Graham as two of the only ones to have the courage to stand up for their convictions. Since taking office, Trump has lashed out repeatedly at CNN as "fake news." He's upbraided its reporters publicly and attacked Zucker personally.